Born in the District of Lago, Province of Niassa, on January 30, 1946, John William Kachamila migrated to Tanganyika with his parents when he was about four years old, in search of better living conditions. He started his primary education at the age of six, and completed eighth grade in St Joseph Middle School in 1962, in Mbeya. After joining FRELIMO in 1963, he enrolled at the Afro-American Institute in Dar-es-Salaam the following year, where he attended tenth grade. In 1968, after having been awarded a scholarship, he attended Geoloska Sredjna Skola in Belgrade, Yugoslavia, and completed the high school program in Geology and Mining in 1973. Five years later, he received the master honors degree (MSc) from Rudasko Geoloska Faculteti, in Belgrade. 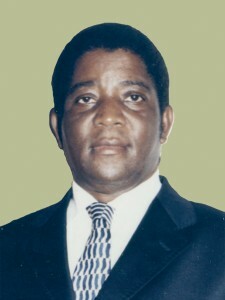 Upon returning to Mozambique in 1978, John Kachamila was appointed the Head of the National Geological Services. In 1981, he left for London to continue his studies, where he completed the Master of Philosophy (MPhil) in Geology and received a Diploma of Imperial College. He returned to Mozambique in 1984 and was nominated National Director of Geology and Mining, an office he held until 1986. Two years later, in April 1986, he was nominated as the Minister of Mineral Resources, an office he held until 1994. During this period he was a Member of Parliament. After the first general elections in Mozambique, held in 1994, he was nominated as the Minister of Mineral Resources and Energy, and served for a five-year mandate. In the period between 2000 and 2005, he was the Minister of Environmental Affairs. After the government mission, John Kachamila was appointed Chairman of the Mozambique Hydrocarbon Company and held this position until 2013, when he took accepted the position of Chairman of Portos de Cabo Delgado. He has been a member of FRELIMO since 1963, a party in which he has served on the Central Committee. John Kachamila is also an honorary member of OJM (Mozambique Youth Organization) and serves as Secretary for Cooperation of the National Liberation Struggle Association. During his career in the government, Kachamila was entrusted with diplomatic missions of building friendship between Mozambique and the United Arab Emirates and Kuwait, and for the revival of diplomatic relations with Brazil. He was awarded the Eduardo Mondlane 2nd Degree Order on January 29, 2005, by the Government of Mozambique. He was also awarded the Ordem Nacional do Cruzeiro do Sul by the Brazilian Government. Currently, John Kachamila is the honorary consul of Serbia in Mozambique; he speaks Portuguese, English, Serbian, Chinyanja and Swahili.